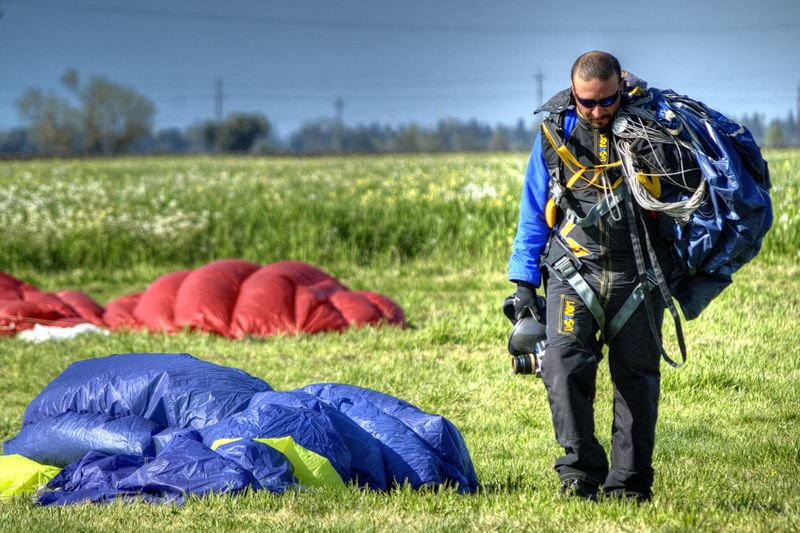 Last Sunday morning outside of Sacramento, at the airport in Lodi, CA, Kathleen caught this sky diver preparing for another tandem drop. Apparently folks like to jump out of perfectly functional airplanes! Lodi is a city located in San Joaquin County, in the northern portion of California’s Central Valley. Wish this was in my House! Castello di Amorosa (Castle of Love) is an amazing 121,000 square foot stone fortress, complete with guard towers, escape tunnels, a moat, a grand hall with colorful frescoes and massive 500 year old fireplace, family chapels, and a torture chamber furnished with a 15th century iron maiden. We had to stop by Prager Winery during a recent visit to Sonoma, California. Many years ago we tasted and purchased some outstanding Prager Port, which remains unopened – we were encouraged to sample it by the owners who rolled their eyes when they heard of our treasured cache. It has appreciated by close to 200% since purchase! This window in the tasting room has not been cleaned in 25 years! 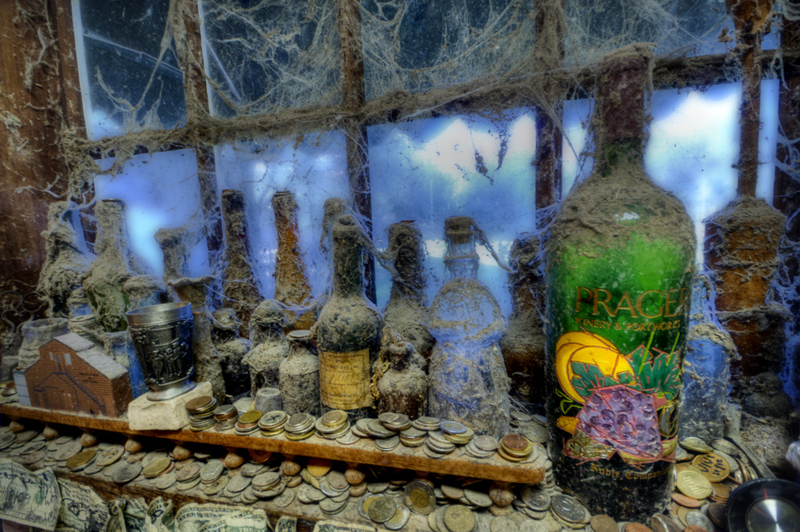 Spiders love the St.Helena sun and the abundance of fruit flies and have spun this amazing web amongst the bottles. 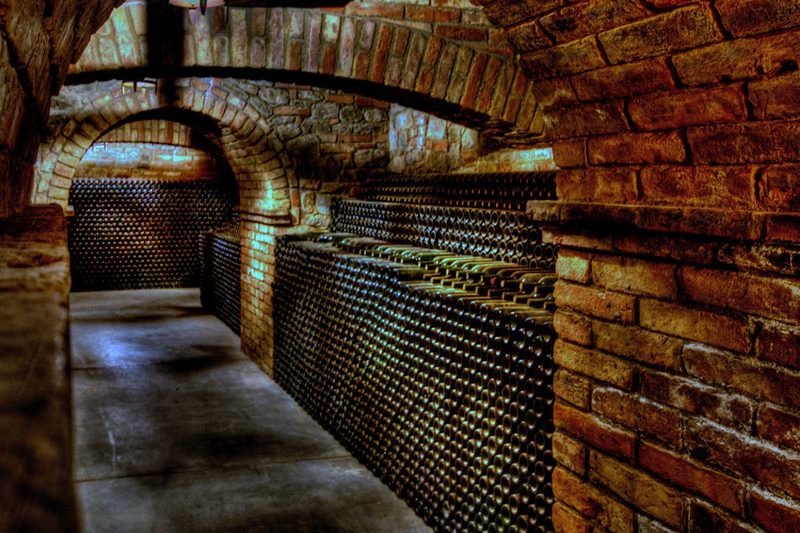 The entire tasting room is covered with dollar bills from the thirsty – it is really special. The owners said they have the Original Website AND it is Windows based!